I have launched my latest side-project, Notifier for Reddit! NfR is a tool that notifies you almost instantly when key words you care about are mentioned on Reddit. It was originally a small command line tool I created to monitor Reddit when a certain keyword was mentioned. Eventually, we decided to make it multi-user, wrap it in a web app, deploy it to AWS, and improve the performance of it substantially. NfR is very fast. When a search term is mentioned on Reddit, it will find it and alert you by email within 60 seconds. This is a critical difference between it and other tools like TrackReddit because NfR doesn't miss or skip comments/posts and it allows you to respond quickly so you can truly DRIVE the conversation. This is critical because the earliest comments on a Reddit post/thread are the most likely to be seen and commented on. I created the backend for NfR years ago specifically because I was unsatisfied with tools like TrackReddit randomly missing my test comments. NfR was designed from the get-go to scale as more users come on board. It supports multi-processing for both pulling data from Reddit's API and searching the resulting data. Controller processes distribute work evenly to multiple worker processes. If we see performance issues, we will be able to add more worker-processes and scale up the EC2 instance type. If we start to go beyond the performance of a compute-optimized EC2 instance or we find it to be too expensive, we can even distribute NfR across multiple EC2 instances! An organization can monitor Reddit with NfR and quickly respond to user posts or comments and we see this as the primary use case for NfR. What if a user comments on Reddit about some horrible experience they are having with a product or service of yours? Without NfR, comments could pile up from other users bashing your company and what a horrible product or service it is which leaves readers of Reddit thinking negatively about your company. This is important given that Reddit is the 3rd leading social media platform and is used by 330 million users world-wide. With NfR, though, it's a different story! 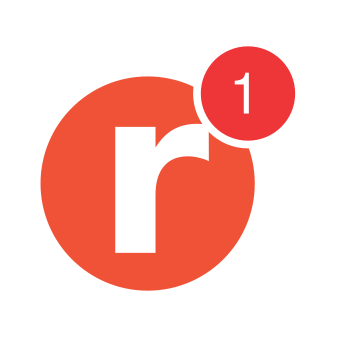 A comment or post is made on Reddit about your company and within 60 seconds NfR will send an email to the email address you signed up with. An employee monitoring the inbox will be able to respond quickly to the user where all of Reddit can see. Your company looks modern and attentive to the customer experience and readers of Reddit are left thinking positively of your company! Why would you take the RISK of not using Notifier for Reddit!? If you only need 1 Searcher, then Notifier for Reddit is FREE! To get more than 1 Searcher though you will need to sign up for a $10 per month subscription. But don't worry! There is a FREE 30 day trial! Wildcard searches. Entering the string pups are* would match pups are cool, pups are crazy, etc. Results Dashboard where you can view your past results on the website. Currently, they are emailed to you instantly or as a Daily Summary Email. Text Messaging. Adding the ability to get notified via text messaging. CSV exports. Adding the ability to export your results as a csv. If you can think of any other features you would like to add or have any questions, then feel free to reach out to us at [email protected]!